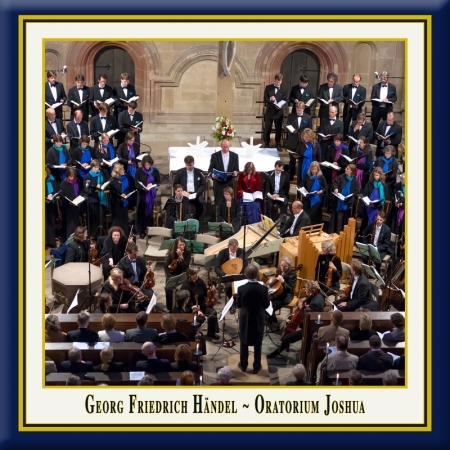 f Handel's late oratorios, Joshua was one of the most successful. Of the operas composed after Samson, only Judas Maccabaeus was performed more frequently during the composer's lifetime, and the latter's popularity was mainly due to the fact that, after the first series of performances, "See the conqu'ring hero comes", originally written for Joshua, was included in it. Handel started to work on Joshua on 19 July 1747, only two weeks after he had finished writing the Alexander Balus oratorio. Eleven days later, the first act was already on paper. The second act was completed in an even shorter time - by 8 August - and the entire opus was finished by 19 August. The world première took place in Covent Garden on 9 March 1748. Joshua was one of four oratorios written in quick succession between 1746 and 1748 that all have strong military traits. In 1847, Judas Maccabaeus followed, a work that was extremely popular inasmuch as it was performed at least 33 times during the composer's lifetime. It appears clear that, after Judas Maccabaeus, Handel and his librettist, Thomas Morell, were at pains to repeat the successful recipe of a Jewish hero and triumphant choruses, but this time adding the romantic subplot that Judas lacked. Morell had hardly recovered from the exertions of Alexander Balus before he was already tackling the new libretto, based on a bloodthirsty account in the Book of Joshua in the Old Testament. He turned the campaigns against Jericho, Ai and the five kings into one dramatic block and extended the roles of Othniel and Achsa to create the background needed to provide romantic relief and to contrast the otherwise almost completely warlike plot. The unusual tempo of Handel's composition must have challenged Morell to the extreme and the result was more a sequence of events than a fully developed plot. But the characters are strong - Joshua an imperious/domineering (if also a sometimes unbearably conceited) hero, Kaleb the suitably patriarchal leader type, shortly before retirement and on the verge of leaving the battlefield forever, his daughter, Achsa, worried, occasionally disapproving and engaged to Othniel, who finds it difficult to strike the right balance between the role of the young warrior that has been thrust upon him and that of the devoted lover. Over and above all this, there is a small but important role for an angel. A later score gives this part to a tenor, but it is generally assumed that, as is to be expected, the angel was played by a female or boy soprano in earlier performances. As is the case with many of Handel's oratorios, the later performances underwent numerous rearrangements of the original score and for reasons that sometimes had little to do with music. The present version keeps to the score used in the 1748 performances, with the one concession that Handel's undated change to the second half of "Hark! 'tis the linnet" (1752?) is included. This is the only change made later that did not affect the original sequence of the movements. 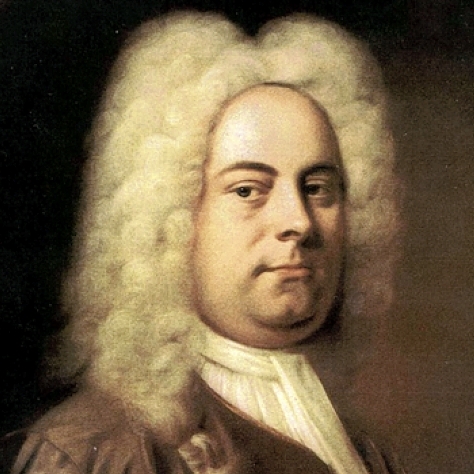 Handel had surprisingly few boy voices at his disposal to sing the upper parts of his choruses. However, as voices generally broke very much later in those days, we can assume that there were some excellent singers among them. Handel's soloists usually joined in the 'Tutti' parts (which most certainly must have put a huge strain on them during performances). Our 21st century choir has no need of such support. At three points in the score, Handel notes that the brasses ought to be brought in and there is a short rhythmic entry at each of these points, on the basis of which the musicians of the time (led by the first trumpet) then had to improvise the necessary music. Handel's lavish casting of the oratorio points to the fact that his performances were financially secured. The large orchestra comprises - apart from the usual strings, oboes and bassoons - two flutes, trumpets, horns and timpani, respectively. Moreover, certain 18th century reports on performances gave us the idea of including cembalo, organ and archlute as continuo instruments. The most stunning passages of Handel's Joshua make full use of brass and timbali, and the resulting music is very impressive. Dramatic events like the collapse of the walls of Jericho, the destruction of the city by fire, Joshua's ability to stop the sun and moon in their tracks and to rouse an army of demoralized soldiers to action, not to mention the return of the hero in triumph from the battle offer heroic material that would have inspired any composer. It might therefore come as no surprise that the fall of Jericho in Act II led Handel to use one of his wonderful 'thunder choruses' that incidentally also greatly impressed Hadyn when he heard it during a lavish performance at Westminster Abbey in 1791. Supposedly, he was familiar with the music, but was only half aware of its effect until he actually got to hear it. In any case, Hadyn was convinced that only a genius like Handel could ever have written such an outstanding composition or could indeed write one like it at any point in the future. The solemn march around the Ark of the Covenant, which hastens the destruction along, is also one of Handel's most beautiful compositions, and its amazing solemnity is impressive, while Kaleb's aria that follows it, "See the raging flames arise" turns out to be wonderfully dramatic. Othniel's "Place danger around me" is an equally outstanding Handel aria. Joshua was also the original source for the chorus "See the conqu'ring hero comes" that was only put into Judas Maccabaeus when its potential as a crowd-puller was recognized after the first performances of Joshua. At the same time, the quieter, more contemplative moments also deserve a mention: Kaleb's resigned aria "Shall I in Mamre's fertile plain", the heavenly chorus that follows it and the chorus of the vanquished Israelites, "How soon our tow'ring hopes are crossed as well as Othniel's "Nations who in future story" are all examples of Handel's best lyrical style. And between the triumphs and catastrophes of the battle, the scenes with Achsa offer additional contrast, with arias ranging from the pensive "Oh, who can tell" to the bird calls in "Hark! 'tis the linnet" and the joyful, ever-popular "Oh had I Jubal's lyre". Miriam Allan, master class graduate of Emma Kirkby and Julianne Baird, last year won the London Handel Competition. The young Australian studied at Newcastle University (Australia) and graduated from there with several distinctions. She has performed the most important works of Bach, Handel and Purcell with leading choirs and orchestras such as the Australian Chamber Orchestra and the Sydney Philharmonic. She has also appeared as a guest with the Song Company and Sounds Baroque, including at their concertante performances. In addition to this - and rather unusual for such a young singer - she also gives recitals. These have so far focussed mainly on works from the 17th and 18th centuries, but now increasingly include Romantic and Modernist pieces. In the summer of 2003, she sang not only the title role in the Handel opera "Semele" for the Pinchgut Opera, she also appeared in the world premiere of "Dreaming Transportation" at the Sidney Festival and sang in the first Australian performance of Bach's St Mark Passion by the Sidney Philharmonic under Arno Volmer as well as performing in Pergolesi's "Stabat Mater". At the beginning of this year, Miriam Allan made her debut at the Leipzig Gewandhaus with the Bach Mass in B Minor. David Allsopp attended the King's School in Rochester and was at the same time a chorister and Choral Scholar at the city's cathedral. Later he studied computer science at Cambridge University and graduated from there with distinction in 2004. He continued his career as a singer in Cambridge as a Choral Scholar und Lay Clerk with the famous King's College Choir. An important highlight from those days was the performance of the Chichester Psalms with Leonard Bernstein in Manchester, which received tremendous reviews from the critics. At the moment, David Allsopp holds the position of Countertenor Lay Clerk at Westminster Cathedral, but also continues to appear as a soloist with the King's College Choir under Stephen Cleobury, including an appearance in 2007 in a performance of Handel's Solomon in King's College Chapel. As a soloist, he has participated in performances of the Bach Mass in B Minor and the St John Passion in England and in other European countries. The Messiah and some of Handel's bigger oratorios are also part of his repertoire. Later this year, David Allsopp will make his debut at St. John's, Smith Square, London, with a performance of Israel in Egypt. Mark Le Brocq studied English at St Catherine's College, Cambridge, where he was also a Choral Scholar. He received a scholarship from the Royal Academy of Music, where he studied under David Brown, and other scholarships from the Draper's Company and the Wolfson Trust. He has won many awards and distinctions at the Royal Academy of Music, including the Blyth Buesset Opera Prize, den Royal Academy of Music Club Prize and the Worshipful Company of Musician's Medal. He subsequently continued his education at the National Opera Studio. He was employed as a soloist with the English National Opera in London. Over the years, the tenor has worked with many important directors, including David Alden, David Poutney, Jonathan Miller, Niklaus Lehnhoff, Graham Vick and David Freeman. Mark Le Brocq has appeared as a concert singer in the USA, France, Germany, Spain and the Middle East as well as on all the big-name London stages. He regularly appears at concerts with the Gabrieli Consort under the direction of Paul McCreesh, with whom he has also performed Handel's Saul and Solomon. He has appeared with Monserat Caballé and Dennis O'Neill at Verdi Opera Galas in Bath, has sung the Mozart and Verdi Requiems at the Barbican Centre as well as the Mozart Requiem with The English Concert under Trevor Pinnock in Salzburg.. He sang Handel's Messiah with the Ulster Orchestra conducted by Gideon Kraemer and the Schubert Mass in E-Flat Major with the BBC Symphony Orchestra under Jiri Belohlavek. James Rutherford studied at the Royal College of Music and the National Opera Studio in London. In 2000, he was elected "New Generation Artist", a programme run by the BBC to support and provide awards for young artists. He has a very wide repertoire. He is equally comfortable with the Baroque operas of Handel (Rinaldo) and Bach oratorios as he is with Mozart (Le nozze di Figaro), Wagner (The Meistersinger), Verdi (Falstaff), Stravinsky und Benjamin Britten. His engagements have led him to the Paris Opera, the Welsh National Opera and, in London, to the Royal Opera House. He has sung with the Glyndebourne Touring Opera and appeared as a guest at the music festivals in Montpellier and Innsbruck. In Germany, he has sung "Rinaldo" with René Jacobs at the German State Opera in Berlin. Besides performing with famous English symphony orchestras, he has also appeared with the Berlin Philharmonic and the SWR Rundfunk Orchestra. In August 2006, James Rutherford won the first International Wagner Competition at the Seattle Opera. The Hanoverian Court Orchestra under concertmistress Anne Röhrig remains totally faithful to the tradition of historic court orchestras and performs both chamber music and symphonies. The sound of this ensemble is hallmarked by the fact that the musicians also have experience of playing with different music ensembles on the European Baroque scene and view historical performance practices as a means of keeping current. The repertoire of the Orchestra is not restricted to the many forms of Baroque music alone, but also includes classical works, with Mozart operas and the Romantic era being particularly favoured. Their constant involvement with 17th and 18th-century music has made the Court Orchestra musicians masters of their respective instruments. The result is the expressive and elegant style of playing that assures the orchestra its prominent position. The Hanoverian Court Orchestra has been the orchestra in residence at the Herrenhausen Festival Weeks since 2006. 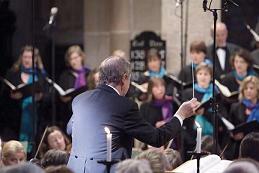 The Maulbronn Chamber Choir was founded in 1983 and is directed by Juergen Budday. Today it counts as one of the top choirs in the Federal Republic of Germany. First place at the Baden-Württemberg Choir Competition in 1989 and 1997, second place at the 3rd German Choir Competition in Stuttgart in 1990 and First Prize at the 5th German Choir Competition in Regensburg in 1998 - these awards show the extraordinary musical calibre of this young ensemble. The Chamber Choir has managed to make quite a name for itself on the international scene, too. It was received enthusiastically by audiences and reviewers alike during its debut tour through the USA in 1983, with concerts in New York, Indianapolis and elsewhere. Its concert tours in many European countries, in Israel and Argentina (1993, 1997, 2003) as well as in South Africa and Namibia have also met with a similar response. Jürgen Budday is artistic director and founder of the Maulbronn Chamber Choir. He studied church music and musicology at the Academy of Music in Stuttgart from 1967 to 1974 and, since 1979, has taught at the Evangelical Theology Seminar in Maulbronn. This also involved his taking over as artistic director of the Maulbronn Monastery Concerts and the cantor choir. In 1992, he was named Director of Studies, in 1995 came the appointment as Director of Church Music and in 1998 he was awarded the "Bundesverdienstkreuz" (German Cross of Merit) as well as the Bruno-Frey Prize from the State Academy in Ochsenhausen for his work in music education. Since 2002, Jürgen Budday has also held the chair of the Choral Committee with the German Music Council. Together with the Maulbronn Chamber Choir, he has started a cycle of Handel oratorios that is planned to span several years, which involves working with the best-known singers in the genre (e.g. Emma Kirkby and Michael Chance, to name but a few) and has won him international recognition. At the Prague International Choir Festival, he received an award as best director. He has made several CD recordings that have received the highest praise from reviewers and include G.F. Handel's Messiah, Solomon, Belshazzar, Saul, Samson and Judas Maccabaeus.